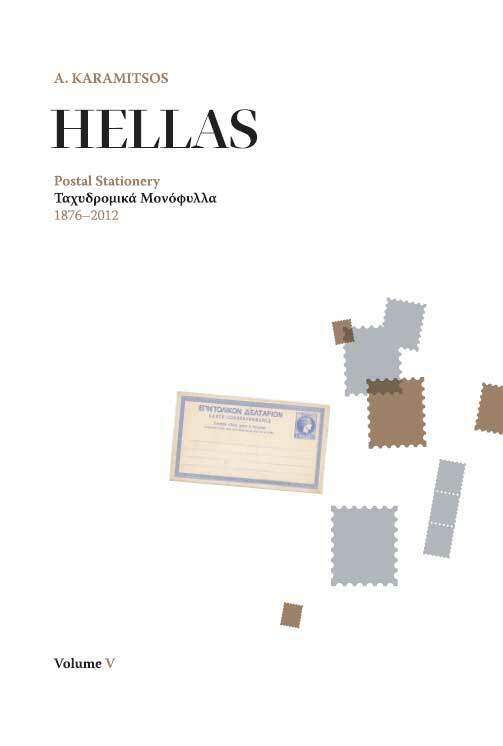 The first part includes all the official issues of the General Directorate of the Greek Post including postal cards, letter cards, envelopes, wrappers, postal money orders, parcel post cards and aerogrammes used in Greece. Also included are all issues of the Greek Post for the greek areas so-called "New Territories" as well as the issues of the foreign post offices for these areas. The second part, includes the official postal stationery that have texts, illustrations or images printed on behalf of the sender and private stationery with an embossed stamp printed by the postal service. Besides these, are included the official, semi-official or unofficial military postal cards (with or without illustrations).